The sprinters’ last hurrah? 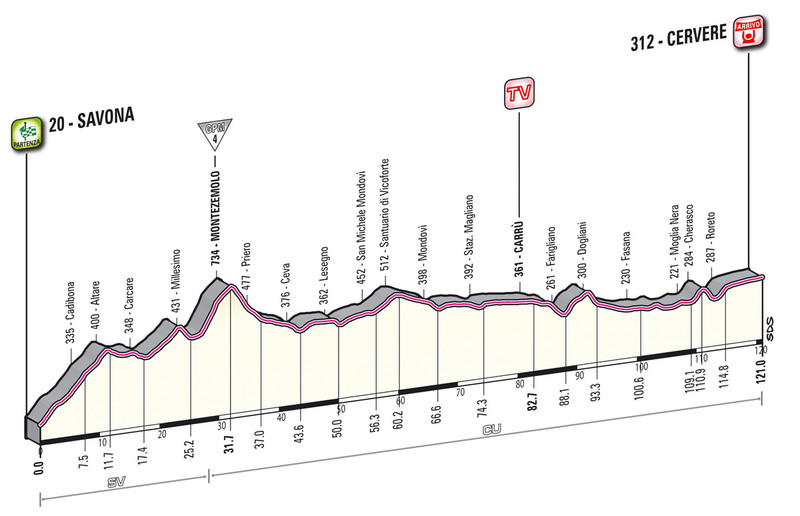 The shortest stage of the 2012 Giro starts off with a steady climb to the day’s only categorised peak, Montezemolo. From there on in it’s largely downhill all the way. 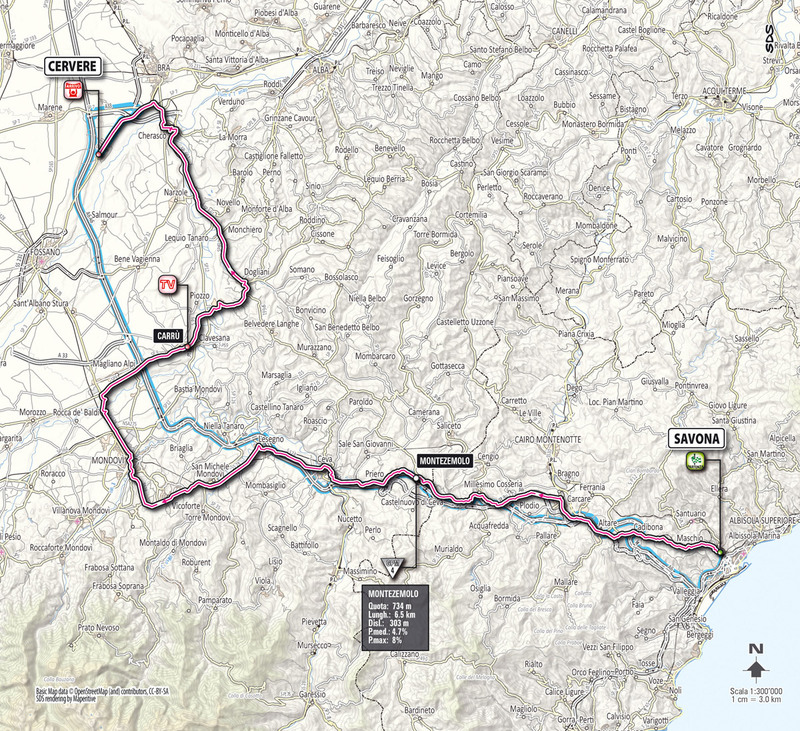 We expect the sprinters to have their bags packed and be heading off to the airport straight after today’s stage with the race’s first high mountains arriving tomorrow.